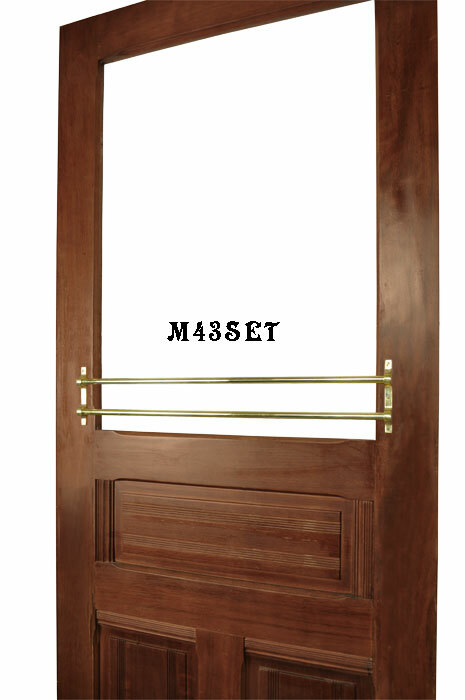 The bars are an excellent way to move heavy doors, as a push bar, or use to add security to doors and windows. 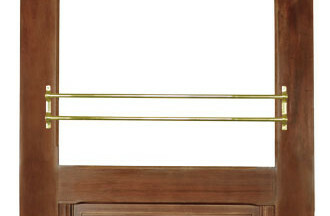 Includes a pair of double bar bracket ends. Select the finish by using the menu above. Footprint: 5 ½" tall x 9⁄16" wide. Center-to-Center: 3"...this translates to a gap of 2 ¼" between the bars. The space behind the bars to the mounting surface measures 3⁄16" when the bars are put into place. This set uses two 3' long, 5⁄8" diameter pipes or bars.